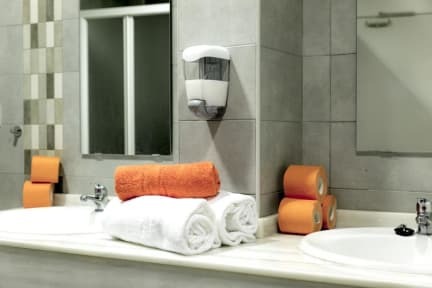 The hostel offers beds in heated rooms, private lockers, and access to shared bathroom facilities, including a shower. 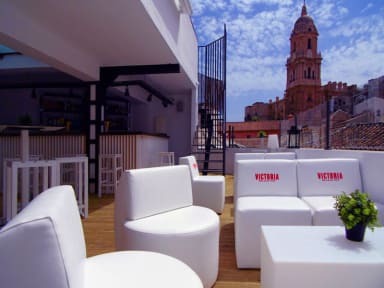 Chinitas Urban Hostel is located in the historic city centre of Malaga. This property is set 30 metres from the famous Marques de Larios Street. We are located a few meters from the Plaza de la Constitution, in the center of Málaga, and about 100 meters from the Alameda Principal is the connection point for all bus lines in Malaga. The property offers a 24-hour front desk, baggage storage, and a shared terrace coffe-bar with views of the Cathedral opened from 16:00 pm to midnight everyday for everybody (hostel clients or not). Check in time starts at 12:00 to 23:00 . Check out time is 12:00 . Cancellation policy: 48 h before arrival. In case of a late cancellation or No Show, you will be charged the first night of your stay. Breakfast not included - 2 EUR per person per day. Il bar con cui è convenzionato per le colazioni non è molto accogliente. Posizione ottima, struttura nuova e pulita!